Fortress Of Freedom Board :: View topic - Video: G20 Queen St. - July 27, 2010! 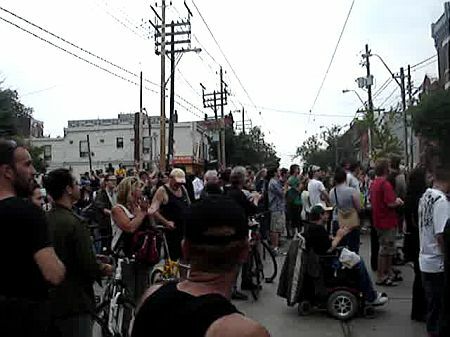 Posted: Mon Jun 28, 2010 7:29 pm Post subject: Video: G20 Queen St. - July 27, 2010! You may notice a guy in a motorized wheelchair in the second video and that is our own Kevin! Way to go Kevin!